I have often been asked whether I’d ever taken or been currently taking any medications or drugs for managing my Rheumatoid Arthritis (RA). That is a very logical question, since my blog is all about a journey geared towards reversing and healing from RA naturally and holistically. While I advocate holistic and alternative treatments towards RA, this does not mean that I am against the idea of taking conventional medications and drugs to minimize the pain and degeneration of the joints caused by RA at the same time. I have, however, learned this the hard way, at the price of loss of full range of motions for both my wrists joints. This lesson made me realise that while holistic healing has the answers for reversing RA, I must also accept and understand the condition and circumstances surrounding my health enough to determine if I should reject any medications and drugs; rather than merely having prejudiced judgments that drugs and medications are simply too harmful to be taken in. Yes, no doubt, this is the truth but weighing the risks vs benefits are equally important because a total rejection of drugs and medications may mean that we are risking deformities if active RA is launching attacks. Okay, let’s not sway too far away from the topic I’d like to cover today. By the way, before I go on, for the interests of my readers who wonder about the question earlier, the answer was yes. I had ever been on steroids and NSAIDs before, but never go to DMARDs or biologics. As for now, I’m off all medications. But, as I pointed out in my blog posts, I’m not 100% remission. Clinically, my latest blood test still shows positive markers for RF, CRP and other common markers for RA. There are days when flares up still visit at vengence. When bad days visit (you can imagine those days when you break out of your strict diet or under extreme/sudden stresses), I still need painkillers or NSAIDs to help get through the pain and function properly for the day. Or else, on a daily basis, a combination of natural anti-inflammatories work just fine for me and help me get through with most days without problems. So, do natural anti-inflammatories actually work? Yes, I reckon so, because I do feel the benefits from consuming them on daily basis and as maintenance. Most diseases – RA, inflammatory bowel diseases (IBS), allergies, asthma, cancer, etc – have an underlying etiology involving inflammation. Even diabetes and obesity are now linked with chronic inflammation. So, what is inflammation anyway and how can we reduce or resolve it? Inflammatory response is actually a natural defence mechanism that is inborn and it is meant to protect our bodies in events of infections or injuries and as a part of the healing process. Twist of an elbow and it swells up. This response is to alert one to an injury so that intervention can happen to prevent further trauma and allow the healing process to begin. The only time when it becomes a problem is when the actual infections cannot be resolved and the bodies cannot finish up the inflammatory responses, hence, turning from acute inflammation, which is good for us, to chronic inflammation, which is of course problematic to start with. Conventional anti-inflammatory drugs, such as NSAID, are still the mainstay of most classically taught clinicians for joints related inflammatory pain, despite their commonly known side effects. They provide quick relief but long term use of these orthodox medications can actually weaken our immunity and invite unwanted side effects. The last thing one would want is to take a medication to treat ONE condition but ended up with MANY other unwanted conditions years down the road. NSAIDs mechanisms are primarily through interaction with pro-inflammatory cytokines interleukin IL-1a, IL-1b, IL-6 and tumor necrosis factor (TNF-α). TNF-α, in increased concentrations, are believed to cause the cardinal signs of inflammation to occur. Due to the significant side effect profiles of both steroidal and non-steroidal medications, there is a greater interest in natural compounds, such as dietary supplements and herbal remedies, which may offer a safer, yet effective, alternative treatment for pain relief, in particular for long-term use. Many of these natural compounds also work by inhibiting the inflammatory pathways in a similar manner as NSAIDs, but with the added advantage of relatively few side effects. That said, the problems that are now associated with these dietary supplements and herbal remedies are the knowledge of their biological action and potential interactions with other nutraceutical products and prescription medications. Now, I’m going to list down here the many natural anti-inflammatories I’ve come to know about (some of which I’m using) that you may also contemplate including into your RA treatment plan. Research has shown that the Omega-3 fatty acids are one of the most effective natural anti-inflammatory agents available. 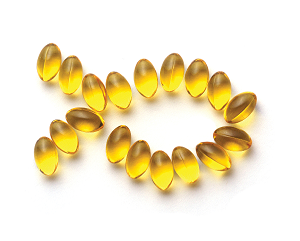 The biological basis for the effectiveness of fish oils in treating arthritis has be well documented with many positive clinical studies; thanks to these active ingredients, eicosapentaenoic acid (EPA) and docosahexaenoic acid (DHA). Omega-3 EFAs can also directly reduce the degenerative enzymes, to reduce the inflammation in synovial cartilage. Dosage: The usual dosage of Omega-3 EFAs is 3000mg/day. Caution: Typically, persons on a regimen of anticoagulant medications should not take omega-3 EFAs because of the possibility of increasing the bleeding potential. Curcumin is a naturally occurring yellow pigment derived from turmeric (Curcuma longa), a flowering plant of the ginger family. It has long been used in both Ayurvedic and Chinese medicines as an anti-inflammatory agent; as well as for colouring and flavouring spice in food products. Several clinical trials have demonstrated its anti-inflammatory, antineoplastic and antioxidant effects; and as a mild COX-2 inhibitor, it works differently from the prescription drugs by inhibiting joint inflammation through preventing the production of prostaglandins and activation of inflammation-regulating genes through its effects on cell-signalling. Dosage: The usual dosage of turmeric powder is 400-600mg taken three times per day. Take on an empty stomach and best to combine with 1000mg of Bromelain. Caution: Side effects are rare but one may experience stomach upset with extended use. Occasionally, at high doses, gastric ulcers can occur. Patients on high dosages of NSAIDs or anticoagulant medications should take caution. 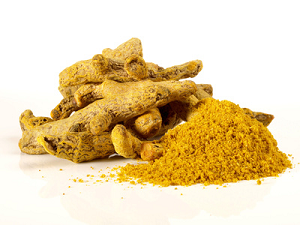 Some studies show that curcumin may be used in combination with lower doses of NSAIDs. Additional note: Bromelain is a group of protein-digesting enzymes found in pineapple juice and in the stem of pineapple plants. Bromelain has an anti-inflammatory effect and is effective for treatment of Fibromyalgia (FMS), when taken 200-400mg three times a day on emply stomach or at least 3 hours after eating or 1-1/2 hours before eating. The Boswellia species are trees located in Somalia, Ethiopia, India and the Arabian Peninsula, and they produce a gum resin known as frankincense. This resin possesses anti-inflammatory, anti-arthritic, and analgesic properties. Scientists discover that extracts of Boswellia can switch off key cell signalers and pro-inflammatory mediators – the cytokines – in the inflammatory cascade. Having been clinically used in treatment of degenerative and inflammatory joint disorders, it reduces total white blood cell count in joint fluids as well as inhibits leukocytes elastase, which is released in RA. In one recent study, a statistically significant improvement in arthritis of the knee was shown after 8 weeks of treatment with 333 mg Boswellia extract taken three times a day. The treatment improved function, but radiographically there was no change in the affected joints. Dosage: The typical dosage of standardized extract (30-40% boswellic acids) is 300-500mg two or three times a day. 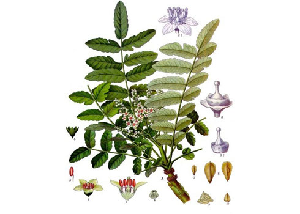 Caution: Boswellia has been demonstrated to be well tolerated in most studies but do caution that some people may experience stomach discomfort and symptoms such as acid reflux, diarrhea and nausea. CMO has been popularized in TIME magazine on 28 October 1996. It was a compound that was isolated from Swiss albino mice and injected into lab rats; and the clinical study has found that the group of rats injected with CMO did not develop arthritis; but the group that was unprotected all developed arthritis. (Two groups were all injected with arthritis-inducing chemicals earlier). It is believed that CMO works by reprogramming the faulty immune system so that it no longer views its own tissues as foreign and stops attacking them. It is absorbed from the mid-intestines then migrates to the joints where it attaches itself and alters the immune responses to the pain and swelling. One study by the San Diego Clinic Immunological Center Clinical Study on CMO vs Arthritis involved 48 subjects of both sexes (aged 29 to 82) and was given orally CMO morning and night. Only 2 subjects failed to show marked improvement or complete relief of all symptoms. The two patients who did not respond were both found to have severe liver disease which was thought to be the underlying reason why they had not seen positive responses. Liver damages from prolonged cortisone treatment for arthritis may block the healing effect of CMO. Most patients had a 70-100% return of joint mobility and a 70-100% reduction in pain. The initial response time is 2 to 7 days and maximum response time is from 7 to 21 days. In common with some natural substances, the exact mechanism of CMO physiologic activity is still unclear. As a fatty acid ester, it appears to have the same characteristics as the essential fatty acids, except stronger and longer lasting. Our human body cannot produce EFAs hence, we must ingest them in our diets. The supposedly difference between activity of EFAs and CMO is the quantity required and period of time over which EFAs are taken is markedly longer. In chronic inflammatory processes, the supply of EFAs is depleted and CMO appears to have the ability to correct this imbalance. Dosage: The recommendation of CMO for RA varies slightly but for 385mg caps, 3 caps twice a day for at least 10-day course on empty stomach. This equates to 60 caps for slightly more than a week. Based on San Diego’s clinical trial and recommendations of CMO dosages for RA, it was stated that ‘there was gradual return of minor arthritic symptoms in several of those treated with only 16 to 24 capsules, and no regression in those treated with 50 capsules in 2 series separated by 1 week without treatment. The dosage schedule was 2 385mg caps twice a day for 7 days, then stop for 7 days and then resume for 5-1/2 days’. In some cases, some people will need to repeat another course every year just to make sure the levels in the body are where they need to be. Caution: CMO does not stop any drugs from working but some drugs – those that affects the immune system – will stop CMO from working. The following list comprises some of these drugs and brand names but not in totality: Adalimubab, Anakinra, Anti-TNF drugs, Arava, Azothioprine, Betamethasone, Ciclosporin, Clobestasone, Cyclophosphamide, Cyclosporin, Cyclosporine, Cytoxan, Enbrel, Etanercept, Fluocinolone, Gold Salts, Hydrocortisone, Hydroxychloroquine, Imuran, Infliximab, Leflunomide, Methotrexate, Mycophenolate mofetil (MMF), Plaquenil, Prednisolone or other steroid medication, Remicade, Rheumatrex, Sodium aurothiomalate, Sulfasalazine, Tacrolimus; as well as those drugs with similar action that nullify/block CMO effects. Bark from the white willow tree is one of the oldest herbal remedies for pain and inflammation, dating back to ancient Egyptian, Roman, Greek, and Indian civilizations, as an analgesic and antipyretic agent. The mechanism of action of white willow bark is similar to that of aspirin which is used to block inflammatory prostaglandins. Salicin from white willow bark is converted to salicylic acid by the liver and is considered to have fewer side effects than aspirin. Although the analgesic actions of willow are typically slow-acting, they last longer than aspirin. Dosage: The usual dose of white willow bark is 240mg/day. Caution: It should not be used in children to avoid the risk of Reye’s syndrome or in patients with poorly controlled diabetes, renal disorders, those with peptic ulcer diseases and conditions in which aspirin would be contraindicated. Wild yam root is also very beneficial in the treatment of RA. 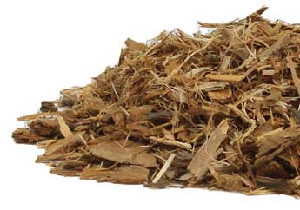 This dried root is known for its anti-inflammatory and antispasmodic properties as well as mild hormonal effects. Some of these properties are due to certain steroidal compounds and precursors from which its anti-inflammatory and hormonal effects are derived. It contains a chemical, diosgenin, which can be made in the laboratory into various steroids, such as estrogen and dehydroepiandrosterone (DHEA). The root and the bulb of the plant are used as a source of diosgenin, which is prepared as an “extract,” a liquid that contains concentrated diosgenin. This root works in wonderful synergy with White Willow Bark. A laboratory study published in “Arthritis Research and Therapy” in 2004 indicates that diosgenin inhibits growth of fibroblast-like synoviocytes involved in RA. Synoviocytes are cells in the membranes of synovial, or freely-moving joints. But, this result does not necessarily mean that consuming wild yam supplements would resolve RA symptoms. Dosage: The generally recommended dosage for decoction of dried root is 2-4g three times daily. Tincture (1:5) is 2-10mL three times daily while liquid extract (1:2) is 3-6mL per day. 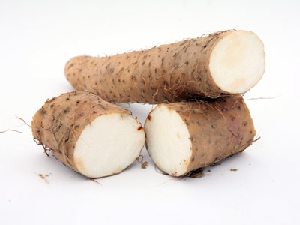 Caution: Wild yam root is possibly safe for most adults, but high doses can cause vomiting, nausea and diarrhea. Wild yam root may act like estrogen, therefore, it is not suitable for breastfeeding or pregnant mothers, or if the patient has a hormone-sensitive condition such as breast cancer, ovarian cancer, endometriosis or uterine fibroids. Serrapeptase, the Miracle Enzyme, has been used in Europe and Asia for over 25 years. Serrapeptase, technically called Serratio Peptidase, is a proteolytic enzyme, which means that it digests protein. 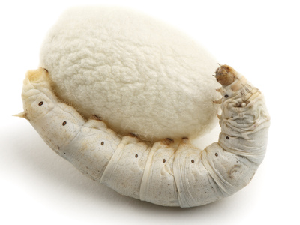 It is produced by bacteria in the gut of silkworms and is used to digest their cocoons. It has been shown to act as an anti-inflammatory and a pain-blocker, much like aspirin, ibuprofen and other NSAIDs, but unlike these alternatives, it has not been shown to cause ulcers and stomach bleeding. Due to its naturally occurring, physiologic property with no inhibitory effects on prostaglandins and is devoid of gastrointestinal side effects, Serrapeptase has attracted a lot of attention of late as a viable, natural alternatives to salicylates and the more potent NSAIDs. It may break down the protein by-products of blood coagulation called fibrin and other dead or damaged tissue without harming living tissue. It may assist in the attack on gut invaders such as worms and protozoa. It is likely to help clear out killed epithelial cells. High doses 60K to 120K units per day have been related to intolerable muscle pain and possible muscle deterioration. Therefore use with newly injured muscles and tendons care is recommended, so as to not overdo the tear-down with the enzyme. Dr. Arnold Renshaw, from Manchester, England, reported in the Annals of Rheumatic Disease (1947) that he had obtained good results with enzyme treatment of over 700 patients with RA, OA or Fibrositis. He went on to say that of 556 people with various types of arthritis, 283 were found to be much improved, and a further 219 were improved to a less marked extent. Of 292 cases of RA, 264 showed improvement of various degrees. The longer the duration of the disease, the longer time before improvement was observed, although most started to show improvement after just two or three months of enzyme therapy. 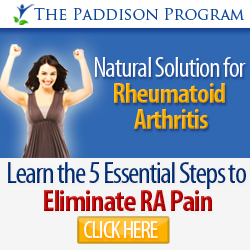 Dosage: The recommended dose for RA is 20 to 30 mg per day. For pain, start with 10 mg daily and work up to 30 mg if needed. Serrapeptase must be taken on an empty stomach, meaning at least two hours after eating, and no food should be consumed for a half hour after taking the enzyme. Note that, not all Serrapeptase products are created equal. The enzyme activity is measured in units and clinical studies are based on the ratio of 10 mg of Serrapeptase equaling 20,000 units of activity. When purchasing the product be sure that the ratio of mg to units is 10 mg for every 20,000 units, or 5 mg for 10,000 units and so on. The average dose, therefore, is 20 mg– or 40,000 units. Caution: Patients on medications such as Warfarin which thin blood must exercise caution with correct dose and monitor reaction as Serrapeptase will potentate Warfarin. Resveratrol is a plant-based polyphenol molecule that is found in various concentrations of many different plant sources. 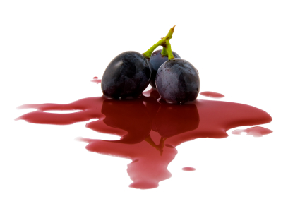 The skins of red wine grapes are believed to have the most concentrated amounts of resveratrol. In plants, resveratrol is generally found in the plant skin and acts as a phytoalexin to protect the plant from infection, excessive UV radiation and aide in general plant defense. Resveratrol has been found to have significant anti-mutation, anti-inflammatory, antioxidant and DNA protective actions, when consumed. Studies have also reported on resveratrol’s use for arthritic joint pain. Dosage: While no established dosing range has been established, the typical dose is from 50 to 500mg daily. Caution: Any significant side effect or safety issues with resveratrol have not been established, but due to an experimentally shown anti-platelet effect, caution should be exercised when taking other prescription or herbal anti-platelet or coagulation altering products. SAMe is an important physiologic compound that is distributed throughout the body tissues and fluids. Despite its long history of use and its established efficacy, the way SAMe works is not well understood. It is known that SAM-e is an essential precursor in three of the body’s major chemical pathways. SAMe possesses anti-inflammatory, pain-relieving, and tissue-healing properties that may help protect the health of joints. It works by helping the body produce spermine and spermidine, two of its own painkillers. The amino acid methionine is also recycled in this way to produce the glutathione, the most powerful antioxidant in the human body. SAM-e has been reported by the Scandinavian Journal of Rheumatology to reduce disease activity, pain, and morning stiffness in patients with FMS. Additional clinical trials of SAMe have mainly focused on OA, which concluded SAM-e was slower to act, but over time was as effective as Celebrex in terms of diseases management. Dosage: Starting dosage is recommended to start low, say 200mg daily and building up slowly to avoid stomach upset. For RA, recommendation is 600 to 1200mg per day in 2 to 3 divided doses. Many studies revealed that oral supplementation of SAMe is not well absorbed by the body though. Clinicians recommend taking oral caps with Vitamin B12, folic acid, methionine and trimethylglycine to enhance absorption. Caution: Not without side effects, SAMe should not be used for patients suffering from bipolar disorder as it can trigger episodes of mania. Other side effects may include dry mouth, nausea, gas, diarrhea, headache, anxiety, a feeling of elation, restlessness, and insomnia. Sweating, dizziness, and palpitations have also been reported. For this reason, you should not take SAMe at night. Pregnant and breastfeeding women should not take SAMe. 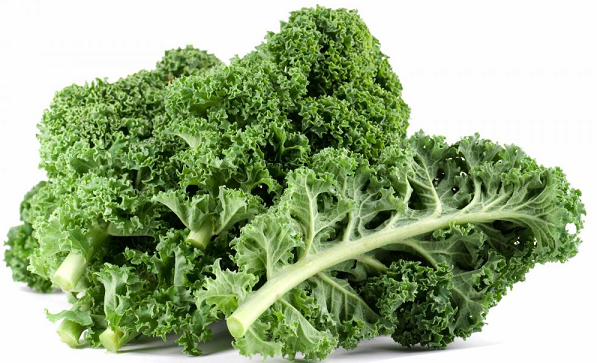 Kale is one of the most nutrient dense, and highly alkaline food on the planet. It is also rich in multiminerals and vitamins. One serving contains some 120mg of Omega-3 fatty acids, making it the superstar of leafy greens for healing properties. 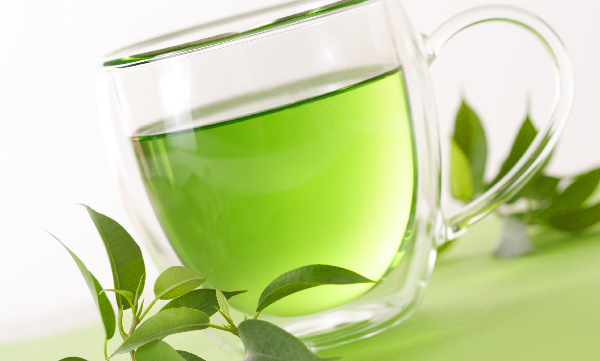 Another anti-inflammatory agent can be found in the green tea. Its flavanoids are potent natural anti-inflammatory and antioxidant compounds; and has been more recently recognised for use in treatment of arthritic disease. I like to drink 3 to 4 cups of tea a day. Its extract does come in typical dosage of 300 to 400mg. If it causes stomach irritation, in rare occasions due to its caffeine content, then opt for a decaffeinated variety. If you love Japanese cuisine, you are going to love Shiitake mushrooms. It has prominent place in my anti-inflammatory food pyramid. It also contains an antimicrobial compound that fight infection. With Shiitakes – as with anything that grows – freshness matters. Eating hemp seeds is legal. In fact, it is downright healthy for one. 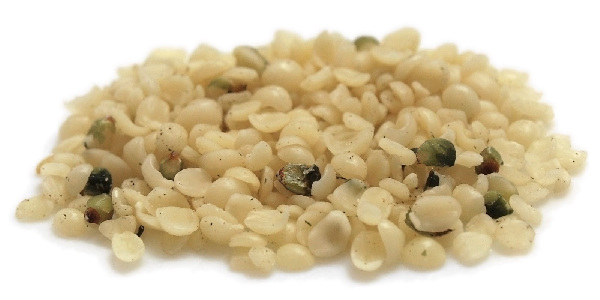 Not only do they make many delicious manifestation, they are a rich source of essential amino acids. Along with borage oil, spirulina, black currant oil, and evening primrose oil, hemp seeds and hemp oil are one of only a very few sources of gamma-linolenic acid or GLA. GLA is a super special and beneficial type of highly anti-inflammatory omega-6 “super fat” that not only reduces inflammation but also supports a healthy metabolism. Known and valued for over centuries for its medicinal qualities, gingers attract interest in its analgesic, anti-inflammatory, anti-nausea, and sugar-moderating effects in the body. 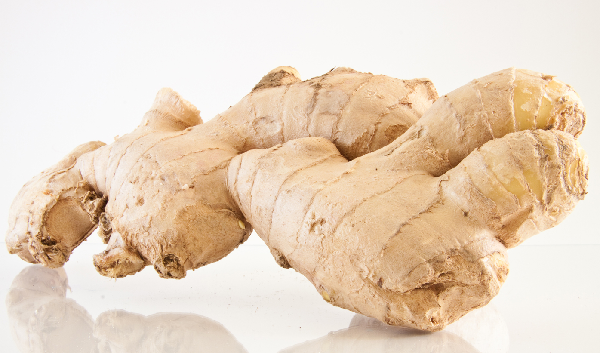 In the past decades, studies and works have confirmed how ginger shares properties with conventional OTC prescription NSAIDs in its ability of suppressing pro-inflammatory prostaglandins, but with fewer side effects, if any. More recently, exciting work is emerging that it can actually inhibit or deactivate genes in our body that encode molecules involved in chronic inflammation. Berries contain polyphenols as do grapes, red wine and purple cabbages. Typically the darker the fruit or vegetable, the higher the antioxidant and anti-inflammatory superstar it will be. 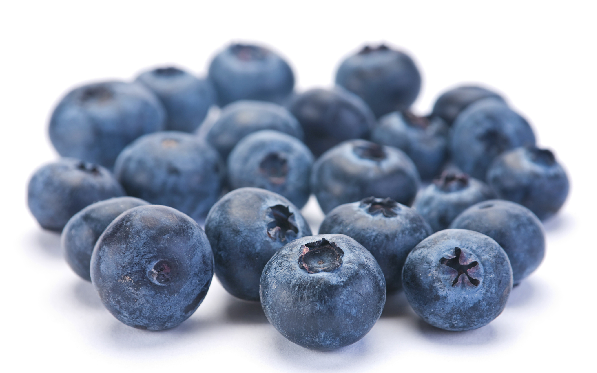 Researchers also believe that the phytochemicals found in blueberries may reduce inflammatory processes in tissues by increasing the cells membrane’s ability to allow vital nutrients and chemical signals to pass in and out of the cell. Therefore, it is a good idea to include 1/2 cup of blueberries for breakfast. Frozen berries are as good as fresh ones. In general, if you include anti-inflammatory foods at each meal, you can basically help to protect your body one meal at a time. It is also not about eating one or two particular foods. Imagine your diet pattern overall is packed with all of the good stuffs, how fantastic can it mean for your health? 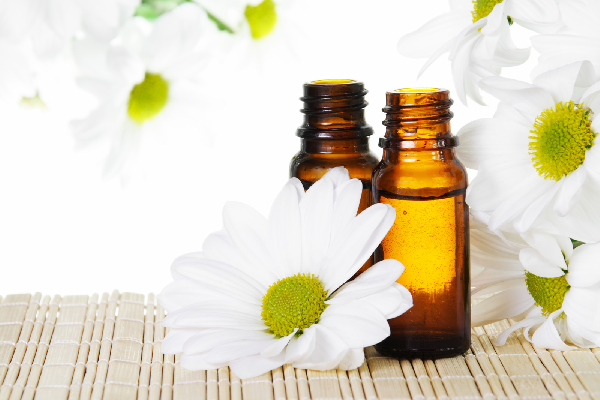 Essential oils are often referred to as the ‘life force’ of a plant/flower/tree. They are very potent, concentrated and powerful; and promote physical and emotional well being from their therapeutic properties including: antibacterial, anti-fungal, anti-infectious, antimicrobial, antiparasitic, antiviral and antiseptic. They easily penetrate the skin and be carried throughout the blood and tissues within minutes. Oils that are high in carvacrol, a phenol, can be very effective as a natural anti-inflammatory. Examples are Oregano, Thyme and Mountain Savory Essential Oils. Did you know that a study published in the January 2010 in the Journal of Lipid Research found that six essential oils reduce inflammation very effectively? In this Japanese study, it was found that the oils suppressed the COX-2 enzyme by as much as 75%. COX enzymes are responsible for the inflammatory process in the body. COX inhibitors suppress this process and relieve pain and inflammation. For centuries, natural anti-inflammatory compounds have been used to mediate the inflammatory process with fewer side effects. I have briefly reviewed several of the natural compounds that may possess similar effectiveness in treating the inflammatory responses seen in chronic inflammatory condition such as RA. Having said this, I do recognise that ongoing experiments and clinical trials should be continued to guide and provide more scientifically based effectiveness of these herbs and supplements in reducing inflammation and promoting healing. One more last note for anyone taking these natural anti-inflammatories. Do be patient while starting on any natural anti-inflammatories because it is common that they take months to work. So, if you have tried them for just a few weeks and do not see any improvements, do not dismiss them as non-effective but try keeping it up for some more time. At least, try for a while more to see if they really not work. Everyone is different, as I always say. Not every compound works the same for everyone, and this gets down to trials and errors. The list of natural anti-inflammatories available is simply non-exhaustive and if I have missed out any compounds that have helped you in your inflammatory mediation, please help me add them to the list above. Thank you. i love the fact that you try to tell about all treatments,its really intreasting,i also take fish oils,i have over the years tryed lots of pills and creams including chilli cream! !not to be recomended,i was told at 16 i had ra,and had probly been born with it,there is more info around now and of course more meds available,still lots of peaple think its an older persons ill ness,i can now read my body for flare ups[how it starts]and try to slow down a bit. Thanks Kathy, yes, like you say, I try to cover as many anti-inflammatory compounds I know of in this post; because more often than not, one treatment which may works well for one does not work as effective for another. I personally use a combination of some of these listed here. I agree that people are still attached with beliefs that arthritis is for the old, sadly, we know that just isn’t true. I’m less affected by the perceptions of other people now; it pays to stay positive and focus on my own outlook. Do you suggest Methotrexate or steer far from it? I was diagnosed late March and have been trying natural rememedies (dandelion/milk thistle) along with spurilina for about 6-7 weeks now but having another long flare and there are days I want to just go grab that bottle of Methotrexate and say forget it I’m just doing it but scared at the same time. But also afraid of causing permanent damage by not taking the Metho. Suggestions? Christie, when I was diagnosed about 3 years ago, the rheumy suggests that I take MTX (a chemo drug); but having researched about its side effects and doing more readings, I decided NOT to take it. Sorry, everyone may be different in terms of the degenerative, progression of disease, pain & inflammation level; so it does not mean that I’m discouraging you from MTX, but I’m stating my point of view. It also happened that I was dreading to conceive at that time so MTX is definitely out of the picture for anyone trying to get pregnant. Re MTX, it’s slow acting, ie may take months to take effects; and if you’re having active RA that attacks badly, you need to take action to make sure you prevent permanent damages. If MTX worries you, what about exploring less toxic alternatives? How about checking in a functional doctor? Yes, the most frustrating part of going alternative is that insurance doesn’t cover most part of these expenses. I’m paying every single trial of my alternative treatments out of my own pocket. Furthermore, I need to travel out of country to purchase supplements and even see a ND. This is simply pathetic! But I’m determined NOT to let anything prevent me from getting better. Re CMO, I’m sorry I’m not in a position to recommend any brands (I wish I can). Should I suggest it may be a good idea to seek reviews in alternative health forums? No way Methotrexate! It’s side effects are worse than RA itself. It’s chemotherapy! One lemon a day is 10 time stronger than any chemo medications. By the way. Try Low Dose Naltrexone ( 1,5 to 4,5mg ) off-label compound drug to stop inflammation and reduce pain. ( approved by FDA) in Europe is being sold without prescription. Thank you, this was straight forward, easy to understand informative information. Hard to come by sometimes. Thank you, Janine. Helpful to know that you enjoy the read; and more so, I do hope the info proves itself of good values. Interesting blog. I was diagnosed with R.A. just over two years ago. There was no way I was going to take any of the drugs on offer! I was lucky – I wasn’t suffering from much joint damage at the start. However, I was in a lot of pain and unable to move much. I’ve always been physically active and very fit, so the diagnosis was a huge shock. I’ve also been careful with diet and well being throughout my life. After much research, I found serrapeptase – thank goodness for the internet! Arthur Andrews is the U.S. company that makes the strongest and best quality product. (no pthalates in the capsules). Unfortunately they are not cheap – but have been worth every penny. I started a course of Serretia and Neprinol (another enzyme combination designed to fight fibrin). I take 3 Serretia and 3 Neprinol twice daily. At first I wasn’t sure if it was working – I finally had results after about four months – it’s very slow and one has to be patient (- I had to use NSAIDs in conjunction and moderation to start with) – but this is due to the supplements healing not masking symptoms. I have had no side effects so far. I’m so glad I stuck with it as, to date, I seem to be more or less in remission. Nearly all the pains have gone and I rarely need over the counter NSAIDS. I can get out of bed and start the day normally. I have a few lumpy fingers – but I can put up with them as they don’t hurt! I also have a slightly swollen ankle, but even that is going down now. I am able to be very active – you would not know to watch me move that I have R.A. (in fact because I have a job that depends on physical movement, I don’t tell people). I really feel as if I am being healed by this treatment. The thing that really gets to me is that the medical profession – including specialists in this field – are not interested in such potentially life changing substances. It’s very closed minded. These supplements should be available on the NHS and regular prescriptions. PS – some foods definitely exacerbate rheumatic symptoms. In my experience wine is a big baddie as are all grapes and grape products. (raisins are ok though- less acid?). Also orange juice can really hurt joints – try pineapple instead for the anti-inflammatory bromelain. Hi, my name is charles Mackay and I am an immunologist trying to understand the basis of RA, and am the chief advocate for poor diet as the basis (and good diet as the treatment) for most inflammatory diseases. Diane i think you have put together a tremendous article. i agree with your thoughts. We now understand how dietary metabolites protect against inflammatory disease. I would recommend extremely healthy diets, with lots of dietary fibre. Agree with you whole heartedly Charles – WE ARE WHAT WE EAT! While on Methotrexate I fell and scraped my shin. That scrape turned into an ulcer. After 4 antibiotics and surgery, 7 months later, better but not completely healed. I’m off Methotrexate now and am trying the holistic approach!! !